The sci-fi movie Tron (1982) is often cited as the spark that lit the CGI (computer generated imagery) fire. Today, almost every major effect in film is done via computer, or at least digitally augmented to marry practical effects with CGI. It’s more practical (ironically), less expensive, and less time-consuming than doing things for real, in front of the camera. Even still, there are plenty of naysayers who complain that CGI ruins the organic qualities of the medium. Yes, films like Avatar and Star Wars: Episode I - The Phantom Menace look great, but they don’t feel real. Believe it or not, there were great special effects before the advent of CGI. Here are some crazy movies made before CGI. One aspect we can’t ignore regarding movie effects before CGI is the painstaking process effects teams went through for mere seconds of footage. 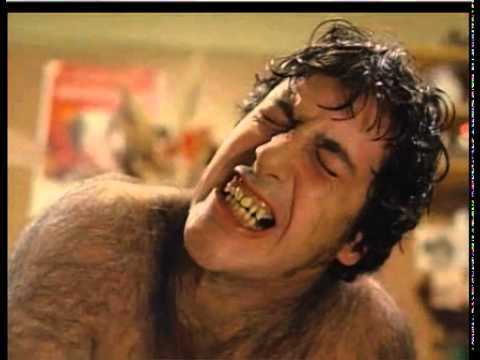 It took John Landis and Rick Baker months to plan the two-and-half-minute werewolf transformation in An American Werewolf in London. For their efforts, Rick Baker won an Academy Award for Best Makeup in 1982. The transformation scene is often regarded as one of the coolest scenes in horror movie history. Prosthetics, makeup, miniature models, and in-camera tricks are just a few of the ways how they made movies before CGI. Check out these films with cool practical effects that were completely generated without the use of a computer. Ray Harryhausen didn't invent stop motion, but he mastered it. Stop-motion animation is the process of animating models by shooting them one frame at a time, while moving their position ever-so-slightly between frames. Harryhausen used the technique in many films, including The 7th Voyage of Sinbad, Mysterious Island, and Clash of the Titans. When asked which effect was his greatest achievement, Harryhausen replied, "I'm proud of all my work. But I suppose the skeleton sequence in Jason and the Argonauts gives me the greatest satisfaction. It was certainly the most time-consuming and elaborate sequence I ever designed." 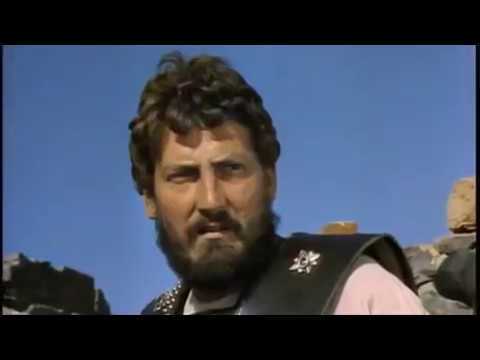 The four-minute skeleton fight scene in Jason and the Argonauts (1963) took longer than four and a half months to shoot using stop motion. Harryhausen also used rear-projected footage of actors, who were fighting no one, like you would on green screen, to synch the movements of the skeletons to those of the actors. He then combined the stop-motion animation with the footage of the actors to create the iconic skeleton scene. How does a filmmaker turn a man into a werewolf without CGI? Director John Landis and technical magician Rick Baker (who won the Academy Award in 1982 for Best Makeup for his efforts) spent months planning the two and a half minute transformation scene, which they wanted to make the centerpiece of the film. It has since become one of the most iconic scenes in horror film history. They used a combination of prosthetics and robotics for the scene. To show wolf hair growing out of actor David Naughton's skin, Landis and Baker used a reverse film technique, for which a fake patch was made. Hairs were drawn into the patch, then the film was played in reverse, so it looked as though the hairs were growing out. For the full-length shots of Naughton's body transforming, the actor was placed under a false door. A fake wolf body was shown from the waist down. Two robotic skulls were used for the facial transformation shots. Fun fact: David's screaming throughout the scene eventually grows into a roar. The audio of the werewolf roar is the same track used in the opening scene in Michael Jackson's Thriller. Jackson was apparently a big fan of the film. It's incredible to think there isn't a single frame of CGI in Academy Award-winning 1987 sci-fi comedy Innerspace. For a bulk of the movie, Dennis Quaid's character mans a tiny pod flowing through Martin Short's body, kind of like The Magic School Bus. 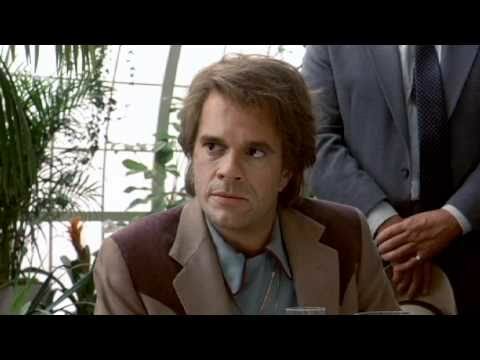 There's also a scene in which Robert Picardo transforms into Martin Short. Director Joe Dante used several in-camera effects, prosthetics, and miniatures to pull off the realistic scenes. During an interview with TechCrunch in May 2016, Dante was asked about Innerspace's effects, "Well, I’m proud that [the effects] hold up. Today, we’d film the same thing with entirely computer-generated material, at the time, effects house Industrial Light and Magic built miniatures to represent the inside of the human body." No wonder Cecil B. DeMille had a heart attack while filming The Ten Commandments in 1956. 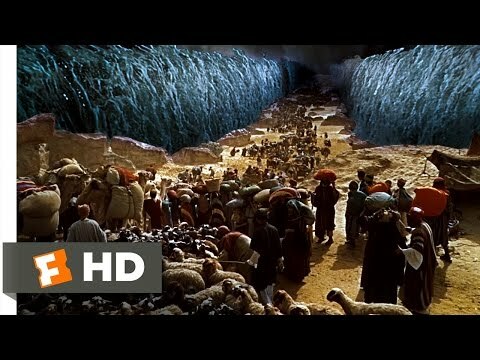 He had to part the Red Sea, which was considered the most difficult special effect ever at the time.The parting of the Red Sea took about six months to complete, and combines footage shot at the Red Sea with scenes filmed on the Paramount lot in Los Angeles. At Paramount, DeMille filled two huge dump tanks with water, then reversed the footage, so the water appears to be flying out of the tanks. The walls of water in the film were created by water being dumped continually into catch basins, to give the impression of constant movement. The images were flipped sideways to make them look like walls. A gelatin-like substance was added to the water to make it appear more like seawater, since they used freshwater during the shoot (because where they hell do you get that much seawater? Steal it from the ocean? ).